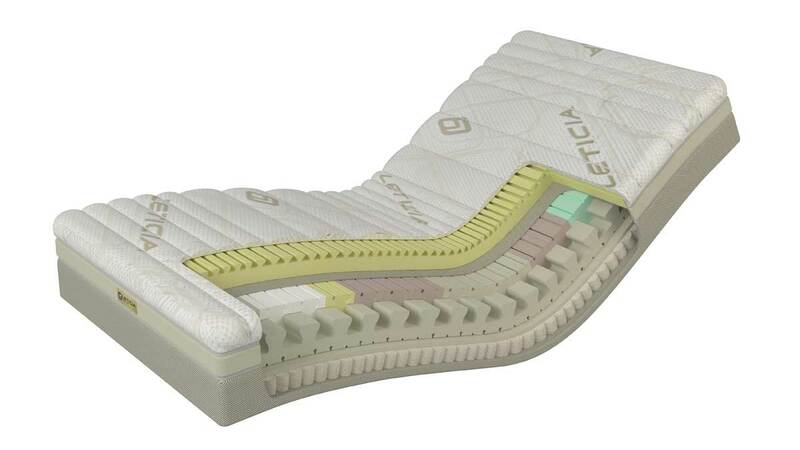 The Leticia family is a diverse group of mattresses with different materials and layers, backed up by an excellent anatomical pillow. For more information about the full product mix, download and check the product catalogue. Leticia is the only mattress system in the world that allows the accurate regulation of the hardness of each part of a mattress by replacing modules. Modules may be replaced at any time, including several years later if your body and sleeping habits change – for instance, due to pregnancy. Top comfort for the most demanding customers, which can be set throughout the surface of the mattress (20 zones). A technologically advanced and unique mattress that is tailored to its owner. The core of the mattress comprises 20 modules that are arranged in the mattress based on your body shape, sleeping habits and health specifics. As your body changes, so does your mattress. You can simply adjust it at any time in the future, thus satisfying your changing needs. Everyone chooses their own sleeping comfort. Some will choose firm support, some compact, some a well-fitting support and others a very comfortable support. The choice is yours. An extremely flexible cashmere cover – the softest thread in the world – provides a captivating touch against your body, while the addition of aloe provides freshness. Since it can be washed, you can also maintain hygiene. Comfort can be set in the most important areas of the shoulders, lower back and hips (7 zones). A golden selection for all those thinking practically and prudently. The core of the mattress is made of 7 predetermined comfort zones. These are distributed throughout the mattress and ensure optimum adjustment. After several years of use, the mattress may be serviced by changing three large modules in the mattress – as simple as that. In some versions, you can select your own sleeping comfort. Some will choose firm support, some compact, some a fitting support and others a very comfortable support. The choice is yours. 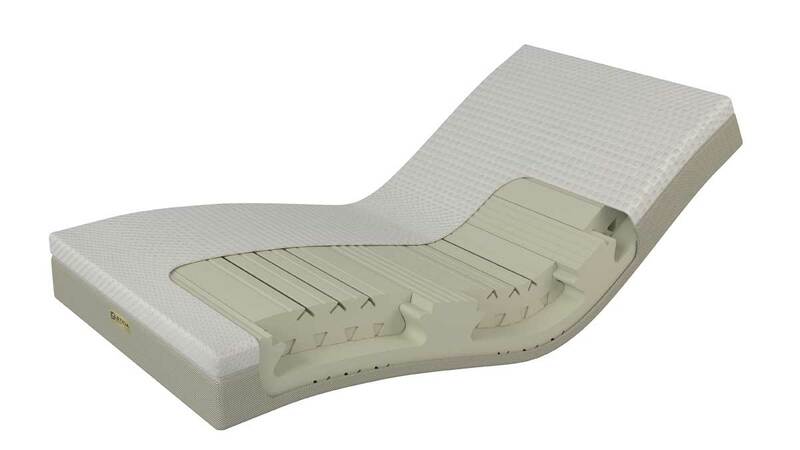 Soft Touch is an adjustable cover that will make you feel even better on your mattress. Since it can be washed, you can also maintain hygiene. Using six components, you can change the height, hardness and inclination of a Leticia pillow, thus adjusting it for optimal comfort and support during sleeping. It may be tailored to all body constitutions, sleeping habits and mattress types using numerous combinations. The secret of Leticia is not in adjusting hardness, but in identifying the ideal hardness for each user. The VisualComfort system will show you what hardness is ideal for every part of your body. Trust your feelings. The VisualComfort system, which measures a unique level of comfort for your body, is available at the store. Find your nearest store.